Fly to Labuan Bajo, Flores, and embark on a liveaboard diving trip around the islands of Komodo National Park. The marine life here is stunning, ranging from colorful corals to giant manta ray.Above water there is plenty to see too, most importantly the famous komodo dragon, the world’s largest lizard. Add to that some otherworldly landscapes, great snorkeling, and deserted beaches and even non-divers will love spending a few days here! More of a culture buff? 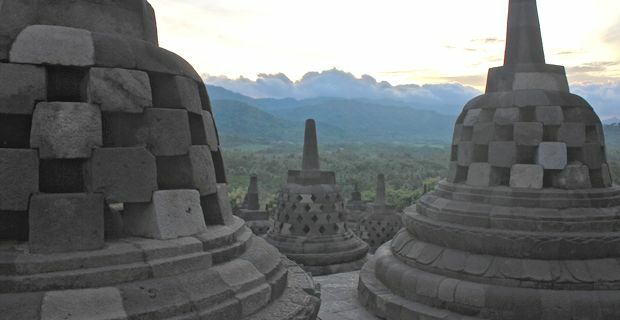 Then you can’t miss Borobudur temple, the largest Buddhist monument in the world and the most famous temple in Indonesia. Watching the sun rise or set from among the 72 Buddha statues inside their stupas on the top of Borobudur is a magical experience. To get there, fly to Yogyakarta, one of the more easy-going and pleasant cities in Indonesia with a long tradition of culture and fine arts. There are not many must-see sights in the city, but wandering around the market and the streets gives a great impression of real life in Indonesia, unspoilt by tourism. If you can stay more than a day or two, add a daytrip to the nearby Prambanan temples. This compound of beautiful 9th century Hindu temples is the largest in the country and well worth a visit. Indonesia isn’t short on natural wonders either. Take a few days to go on a road trip between Banyuwangi and Surabaya, exploring East Java’s impressive volcanic landscapes. Climb Kawah Ijen, famous for its “blue flames”, only visible at night, and the sulfur miners eking out a living from the volcano’s harsh, toxic interior. 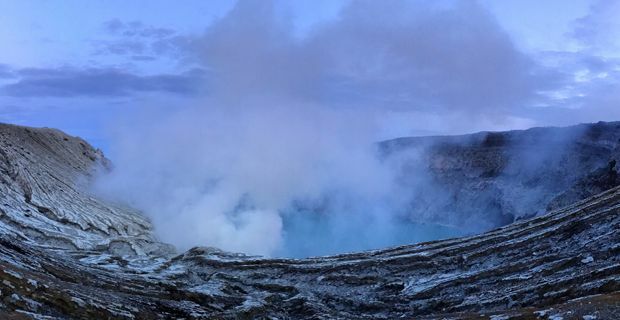 Stay for a magnificent sunrise over Ijen’s sulfurous turquoise crater lake. Next stop is majestic Bromo-Tengger-Semeru National Park, where you can cool off in the misty green highlands before hiking to one of the most active volcanoes in Indonesia, Mount Bromo. Another sight you cannot miss when in Indonesia is the orangutan. Borneo and Sumatra are the only places in the world where these great apes can be found, and what better way to see them than on a romantic river cruise? 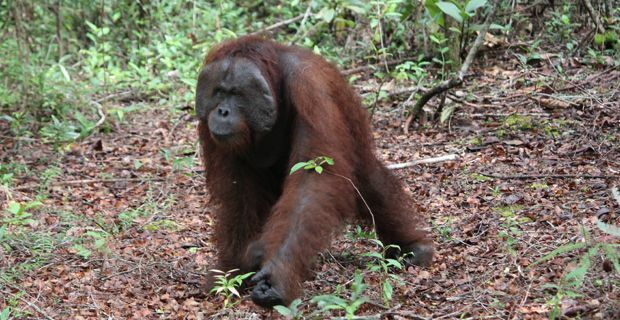 Tanjung Putting National Park in Kalimantan (the Indonesian part of Borneo) is home to both wild animals and orangutans rehabilitated from captivity, so you are guaranteed to see them at sometimes very close range. The park is accessed by boat from Pangkalan Bun, several tour operators offer overnight cruises on klotoks, traditional Indonesian river boats. All you have to do is sit back and enjoy the jungle views and wildlife! Tempted to do it all? Check out this 2-week itinerary island hopping through Indonesia.